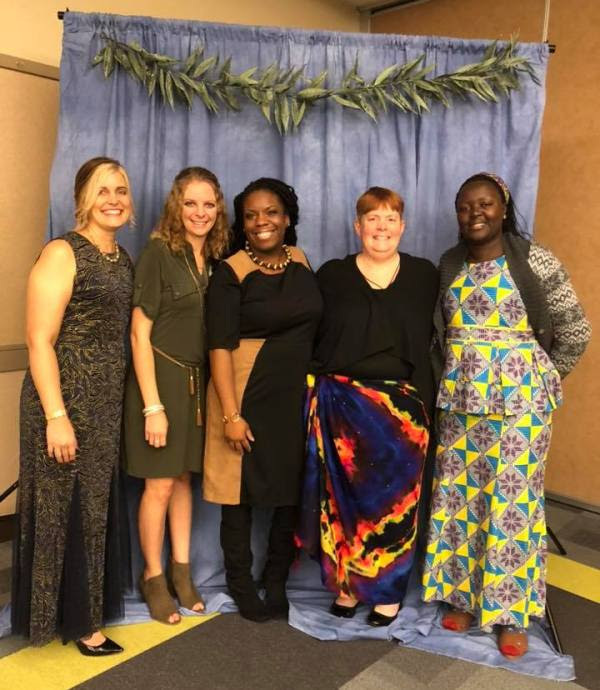 Marjorie Lunkuse, Wells of Hope Deputy Executive Director was invited by Camp David of the Ozarks in Missouri to represent Wells of Hope during their “Let’s go change the world” Gala on 30th November, 2018 in Missouri ; the aim was to share the impact of Camp David’s international work in Uganda where they run camps for children with parents in prisons . Wherever she went different people welcomed her, some chose to sponsor a child and others gave one time donations. The highlight of her trip were the quality of time and reception from everyone she connected and re-connected with; she appreciates the quality time given to her, welcome and bonding with families that she stayed with. She enjoyed sharing stories about children with parents in prison in Uganda as well as learning about children with parents in prison in the USA. Wells of Hope wishes to thank everyone for your prayers and support. Without your contribution, this trip would not have been possible and successful. We are glad to report that Prof Rebecca Ginsburg, from the University of Illinois USA and Susan Burton, Founder and Executive Director of New Way of Life back in the US visited Wells of Hope from 7th to 11th January 2019. Susan is also an author of “Becoming Ms Burton”, a book where she shares her testimony and gives hope to incarcerated women. Prof Rebecca in collaboration with the University of Illinois, Wells of Hope and Uganda Prison Service is working on a guide for Uganda; a booklet that will help/ guide inmates who are soon to be released from correctional centers (prisons). During one of Rebecca’s previous visits, inmates expressed a need for a halfway home; a place where they would be prepared before resettling back in their communities. She took this request at heart and shared the idea with Susan Burton, whose organization has established 7 halfway homes so far in the US. Rebecca and Susan interacted with the Commissioner General, the Reentry Advisory Council, inmates at Luzira Women prison and formerly incarcerated women; they were all excited and delighted to interact with Rebecca and Susan. During their visit, Rebecca shared an update about the guide and said that the draft would be launched soon. She encouraged the incarcerated women to always speak out; “Do not stop sharing your story, never know! When people come together, they do wonderful things,” she said. Susan encouraged the incarcerated women to think about their lives after prison; “You must understand your lives,” she added. She shared her testimony with the women and how God saved her. She encouraged them to be the best they can be in order to be great. Rebecca and Susan donated books, clothes and balls to children under Wells of Hope care. We thank the University of Illinois, Rebecca, Susan and everyone they worked with; we thank them for their support in giving hope to incarcerated people. We thank the Uganda Prisons Service for their continued support.